Later this morning, the Los Angeles City Council will consider a motion to formally halt the ticketing of individuals who plant vegetable gardens in the curb strips in front of their residences. 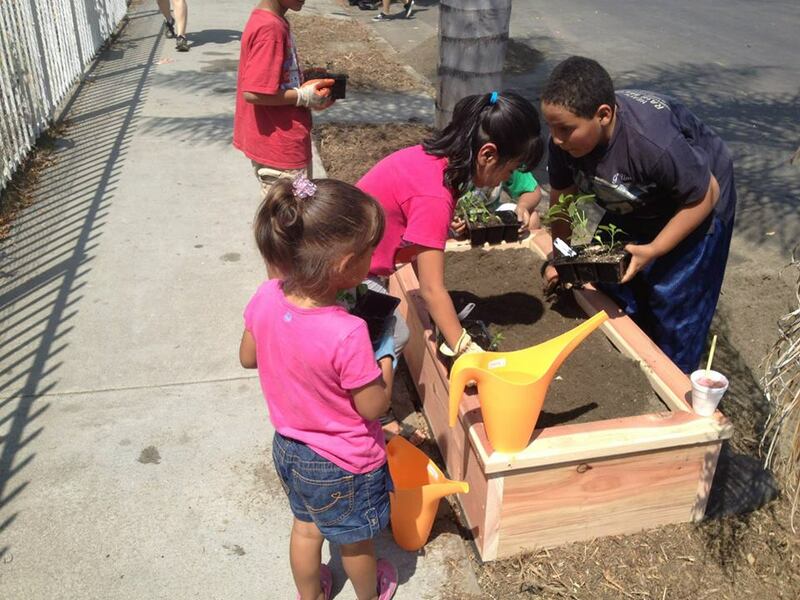 Wesson promised the motion in 2011, after a Steve Lopez column in the Los Angeles Times told the story of one resident who planted such a garden, shared healthy food with his neighborhood, and was promptly ticketed by the city. Wesson’s motion is a temporary one, while the Board of Public Works and city departments prepare a more detailed plan for permitting these gardens. But if the Council decides to grant a reprieve on ticketing, it sends a clear message that the city considers these gardens a public good, and not any sort of menace. While the city waits for the Wesson ordinance and the Board of Public Works to work, many are not waiting for the bureaucracy to make changes in their cityscape. 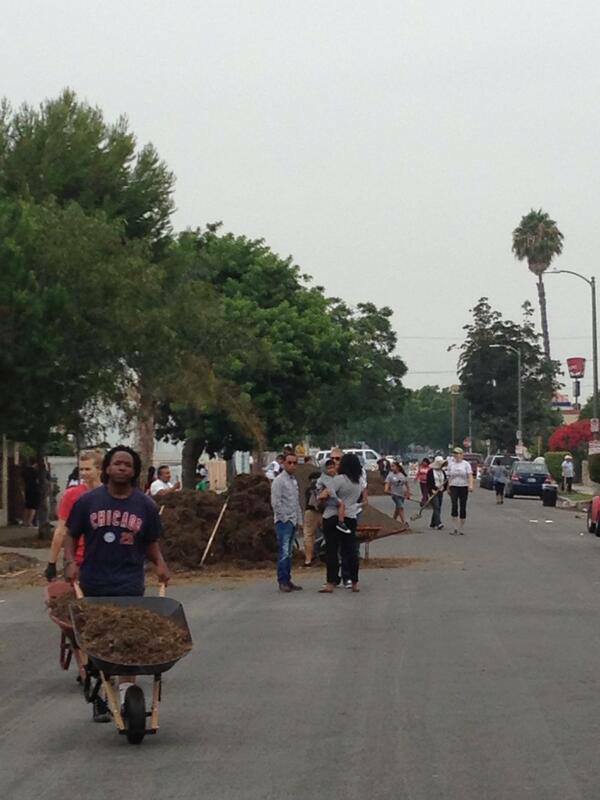 Last Saturday, St. Johns Community Health Center, Enrich L.A. and the Los Angeles Community Garden Council teamed with the local community to create a parkways garden along 58th St. between Hoover and Vermont. According to flyers sent to the community, the garden project is about more than just healthy food. The garden gateway is part of a larger vision to foster community interaction, increase access to healthy food and nutrition information, and help community members take active roles in managing diseases like diabetes, obesity, and hypertension. It will serve as a living education and organizing tool – and will hopefully be the first of many. Food produced by the garden will be given out, free, to members of the community. The project also featured workshops on creating a healthy diet and provided a safe and productive place for neighbors to meet and interact. Today’s City Council motion is expected to pass with ease, Bernard Parks and Mike Bonin have already co-signed. The real action will be at the Public Works Commission and City Council after the city creates standards to allow everyone to create community gardens in their curbsides…and do so without harassment by city officials.